Here you have a very delicate and feminine look. 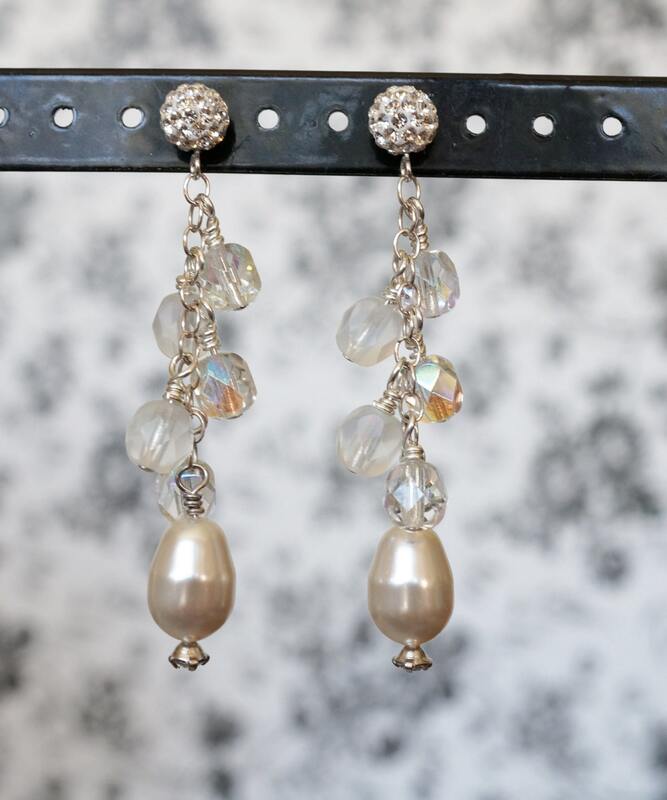 These waterfall cluster earrings are made of Swarovski pearl drops in cream rose color. They are surrounded by Czech crystals, all on a sterling chain. 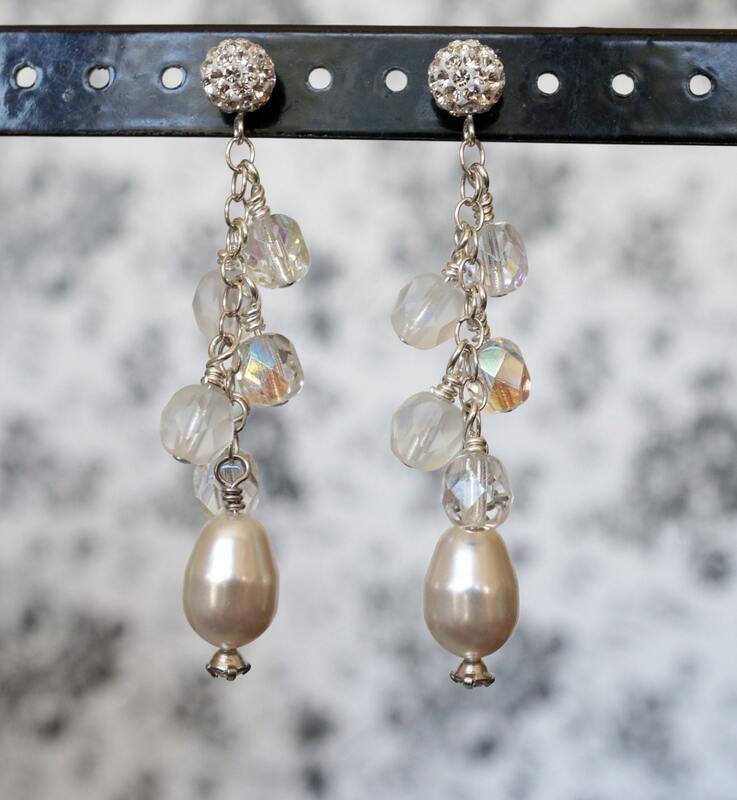 They are pierced earrings with a beautiful rhinestone ball post in silver. They are 2 inches long.